At the Overseas Development Institute, Marta Foresti writes about the need to look for ways to “do migration differently”. Foresti argues that recent migration-related news such as the MS Aquarius stand-off and family separations in the US carry hard lessons about which approaches are working and which aren’t. Germany’s interior minister, Hoorst Seehofer, has reached an agreement with Angela Merkel, following an ongoing row over migration policy – particularly regarding the processing of asylum seekers crossing from the Austrian border – that had threatened to undermine the Merkel government. A Jerusalem Post editorial looks at growing calls for Israel to accept Syrian refugees as Syria’s internal refugee crisis worsens. This follows PM Benjamin Netanyahu’s declaration last week that Israel will “extend humanitarian assistance to the extent of our abilities” but “will not allow entry of refugees into our territory”. The editorial concludes that Israel must be “moral and ethical but also not … reckless”. After the MS Aquarius stand off last month, rescue boats continue to be under siege in the Mediterranean. Malta has charged the captain of one NGO ship, The Lifeline, with entering the country’s waters illegally and without proper registration, and requested the court to order a confiscation of the vessel. The Lifeline has picked up some 200 plus migrants in waters off Libya in the past month. 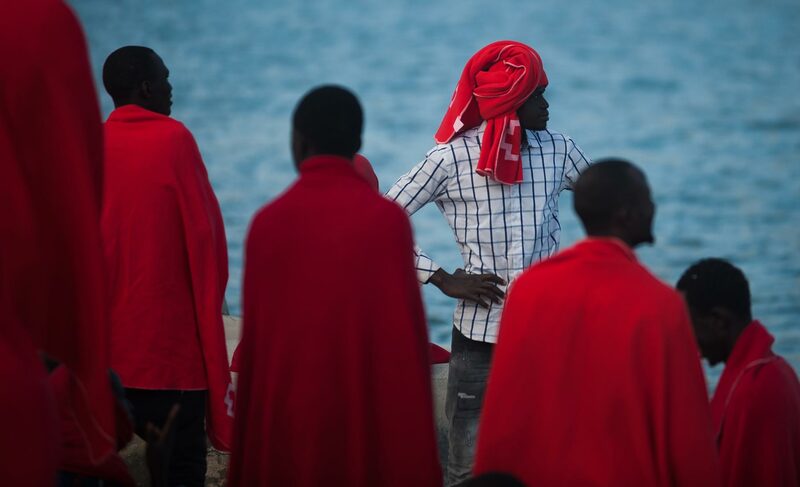 Another rescue boat, Open Arms – run by the Spanish Proactiva Open Arms charity – is returning to Spain with 59 migrants aboard after being denied entry to both Italy and Malta. The Missing Migrants Project estimates that, in the first six months of 2018, over 1400 migrants have died crossing the Mediterranean. This New York Times interactive looks at the financial, emotional and human costs of being smuggled across the US border. A refugee with late-stage lung cancer has been moved from Nauru to receive palliative care in Australia. Australian Border Force approved the transfer after initially refusing to move him to Australia and offering him $25,000 to return to Afghanistan, or a transfer to Taiwan. UN Secretary General António Guterres and World Bank Group President Jim Yong Kim visited Cox’s Bazar this week, issuing a call to the international community to increase financial support to the embattled Rohingya refugee community living there. Nothing could’ve prepared me for the scale of crisis and extent of suffering I saw today in Cox’s Bazar, Bangladesh. I heard heartbreaking accounts from Rohingya refugees that will stay with me forever.